Tommie Harris To Prove He Can Dominate? You Can Count On It! Cheryl says,”Tommie told me he’s feeling good! Tear it up, Tommie! You are in our prayers, as always! 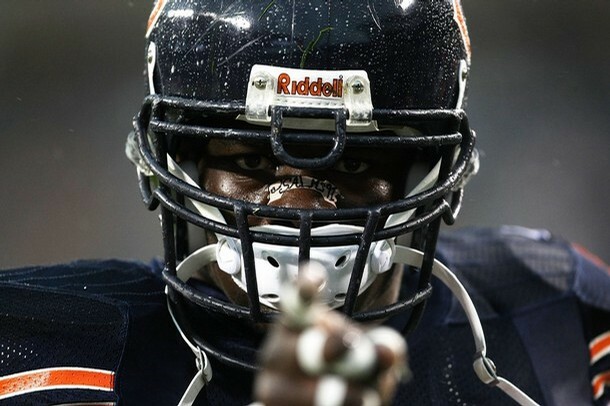 BOURBONNAIS – With Tommie Harris, it can be hard to pick which trait stands out the most. Harris is earnest and passionate. After several of the Bears’ most disappointing losses last season, he was the one who went around the locker room telling various team­mates to stay positive. Harris is playful and witty. He knows when not to take his job too seriously, a rare trait indeed in the NFL. Someone recently asked Harris about training camp, for example, probably expecting a stock answer about how it helps forge toughness and solidarity. Harris is rich. He signed a $40 million contract extension last month that runs through 2012. The $10 million annual average of the deal is an NFL record for his position. 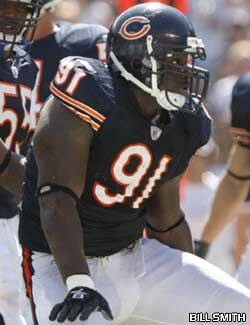 Most importantly to the Bears, Harris is a dominant defensive tackle. He merely needs to put together an entire season to prove it beyond any doubt. Harris, a three-time Pro Bowl selection, was lights-out at the start of the past two seasons. 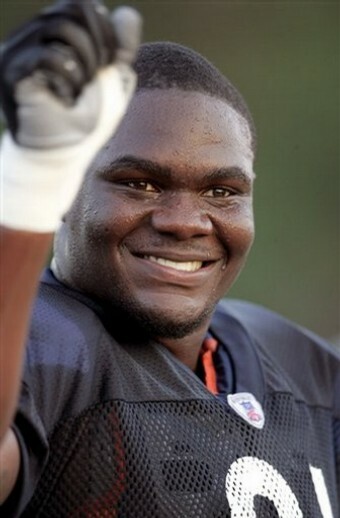 Combine the first eight games of 2006 and 2007, and Harris had 30 solo tackles, 12 sacks and three tackles for a loss. Those are premier numbers for a defensive tackle, a position where players usually settle for occupying blockers so the defensive ends and linebackers can make plays. Harris’ singular athleticism allows him to do that and more. Harris has had a harder time during the second half of the past two seasons. A severe hamstring tear knocked him out for the final four games and the playoffs in 2006. He was slowing down a bit even before the injury, going seven games without a sack. 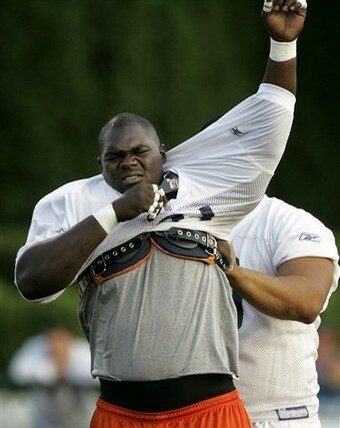 In 2007, Harris said, an early-season sprained knee ligament caught up with him as the games progressed. He had only one of his eight sacks in the final eight games. But Harris takes issue with the notion that he wears down as a season goes along. “I get cheap-shotted” by opposing blockers, he said, which takes a toll on his lower body. Harris said he feels as good now as he has since the ’06 preseason. He expects to start fast and, this time, stay that way.